But then, greek yogurt. And now so many doors have flown wide open! You might think, how in the world can she have a dairy sensitivity and still be able to eat yogurt!? It’s quite simple, actually. Yogurt has already been partially “processed” by the probiotics it contains. The same goes for aged cheeses. I haven’t been brave enough to try those yet, but maybe one day. One day. In the mean time, greek yogurt it is. I specify greek yogurt (casein-rich) for the extra sensitive bellies. Reason being, most of the lactose containing whey (the liquidy part) is strained out. Our bodies are lacking the digestive enzyme, lactase, that does the job of breaking down the lactose (sugar) into glucose and galactose (easily digestible by our bodies). Did you know that our bodies typically stop producing lactase at the age of 4 or 5 and as early as 2!!? And we wonder why we are always bloated and nauseas (I won’t even mention the other symptoms…you know what they are). We can’t break down the lactose and it becomes mobilized by bacteria. Yuck! Genetics play a huge role in determining how long we will produce lactase. All I can say is that my husbands ancestors were definitely milk drinkers. The human body is a machine and if not well oiled, could malfunction. That being said, if you have damaged your gut lining or don’t have the proper balance of bacteria, you could also be suffering from lactose intolerance. These are temporary issues that require time and dedication to heal . Dairy can be very peculiar. If you suspect an intolerance, you, first, need to decide if it’s the casein or the whey. This can be tricking. Heating milk can increase peoples sensitivity. Fermentation changes the protein peptides, which can make it easier for some people to digest. People can also tolerate baked goods much easier. Are you confused yet? Basically, you will want to remove all dairy from your diet for atleast 30 days. This helps your body calibrate. After your 30 days is up, you will want to add back dairy, one thing at a time. Go slow and gradually build your tolerance. Allow your body a few days of adjustment in between each “thing“. Lactose Intolerance is difficult to truly diagnose. Many times people are actually suffering from IBS, Celiac, or some other form of gastrointestinal disease. I suffer from “Leaky Gut“. I believe that, once my gut is healed, I will be able to add dairy back in to my life. My family will gladly welcome this. Poor things. They are being “deprived” right now. It’s good to know that even “malabsorbers” are capable of (comfortably) withstanding up to 12g (a cup of milk) of lactose in a single dose. Why is it so important that I add dairy back in to my life (and yours)? A very long time ago people didn’t consume “mammal” dairy. They got their calcium from eating fish heads, and bones, and..ok, I won’t go there. I do love fried fish tail, but that doesn’t happen every day. With the onset of modern civilization, and our western diet, there was no way we were going to eat that stuff. So, milk! And yogurt. Milk contains tons of calcium – you know this. You want to get the organic full fat grass-fed milk. Don’t be cheap. It contains our bodies natural trans-fat, conjugated linoleum acid (CLA). CLA is believed to have a multitude of anti-cancer benefits (breast, colorectal, lung, skin, stomach). The list goes on for this stuff. Fermented dairy is a cure all for our tummies. It even helps lessen our dairy intolerance. Yogurt contains a hormone like substance called prostaglandin E2 that helps prevent ulcers. You’ll want to make sure to choose a yogurt that has “active cultures“. L.acidophilus. Remember that. It’s the bacteria culture that will give you the greatest benefits. I choose a plain greek yogurt and add my own toppings. That way I can control the quality and quantity of whats going in. A few other fermented foods to try: cottage cheese, whey, kefir, anything pickled, kimchi. And then there’s butter. Make sure you are getting the real stuff! I don’t care if it’s $2’s more. It’s sooo worth it. It’s loaded with fat soluble vitamins A, D, and K2. Why is this important? Because K2 is very hard to get anywhere else. You would have to eat a ton of leafy green veggies, full fat hard cheeses and fish tails. I dream about the day that I can eat butter again. What else can I do to help with my dairy sensitivity? Glutamine: aka L-glutamine. This amino acid is able to heal the soft tissue lining of your small intestines. Probiotic: They contain “good” bacteria that keeps your gut flora balanced. Look for bifidobacterium longum. This strain of bacteria has been effective in metabolizing lactose. Increase your dose gradually to avoid unpleasant symptoms (follow this same procedure with prebiotics). Consider Prebiotics: It significantly increases your bifidobacterium levels. Some studies suggest these are more effective than probiotics in this aspect. They have been shown to boost your butyrate production (which boosts your immune system) and, in return, reduces intestinal permeability. Omega 3: It’s an anti-inflammatory. Not to be confused with inflammation causing Omega 6. Think EPA and DHA. These are the good guys. Vitamin D: This awesome little guy pretty much closes the doors on our intestinal walls inhibiting permeability. Without vitamin D, we put ourselves at risk of food intolerances and auto-immune diseases. My doctor prescribed a once a week vitamin D pill for me. Lower your stress levels. Stress and anxiety cause a ruckus in your tummy. 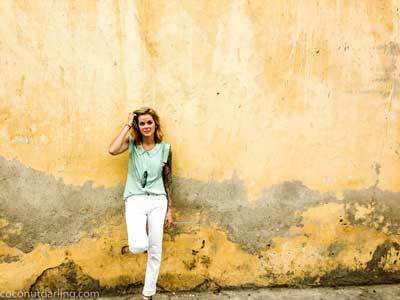 Your intestinal walls’ permeability is compromised and your digestive system stalls. Exercise: There I go again. It helps. It gets things moving. Remember, you are machine. Don’t make me break out my reference to “Wizard of Oz“. The amount you decide to make is up to you. You do need to use greek yogurt. It contains less "water". 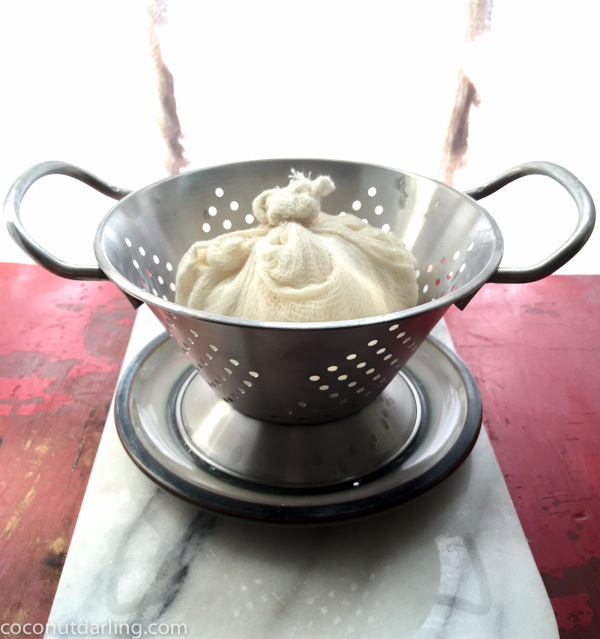 Cut a piece of cheesecloth that covers the bottom and sides of the colander you will be using. Put the colander in a bowl to catch the liquid. Sometimes, I will add a mesh strainer to the bunch. If you decide to, it will rest in the colander. 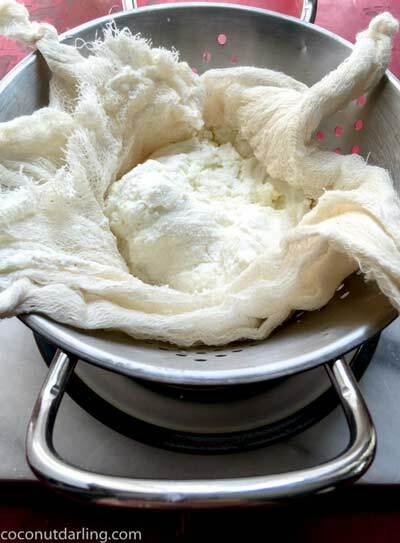 Once you have your "draining" system ready to go, add your chosen amount of greek yogurt in the center on top of the cheese cloth. Gather the edges of the cheesecloth and put a rubber band around them. Now it's ready to go in the fridge for atleast 6 hours or until almost all the liquid has drained. Store in an air-tight container in the fridge. Use the yogurts' expiration date for a reference. Use this exactly like you would cream cheese!! I love putting it on my muffins. Add herbs and spices to your cream cheese. 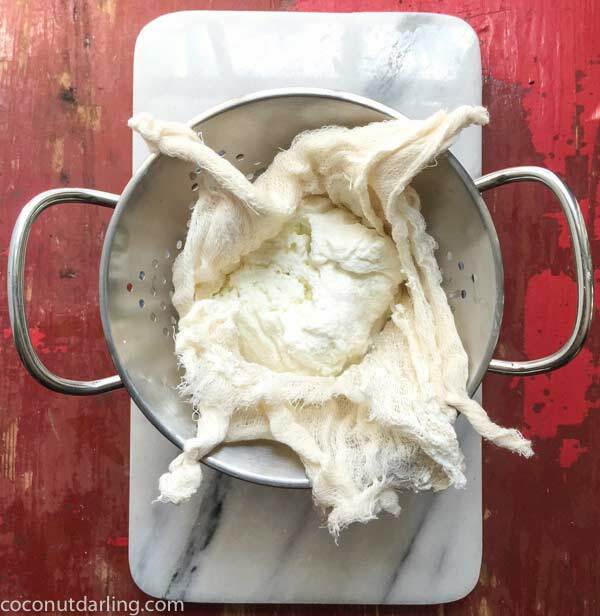 Make cream cheese ice cream! !